This Atlas "Dinky" Citroen SM has been showing up on eBay, both in this police version and in gold and green colours. It appears to be their first release that is not copied from an actual Dinky Toy, and bears the usual Norev, Mattel, and Atlas trademarks plus a 2015 copyright date. 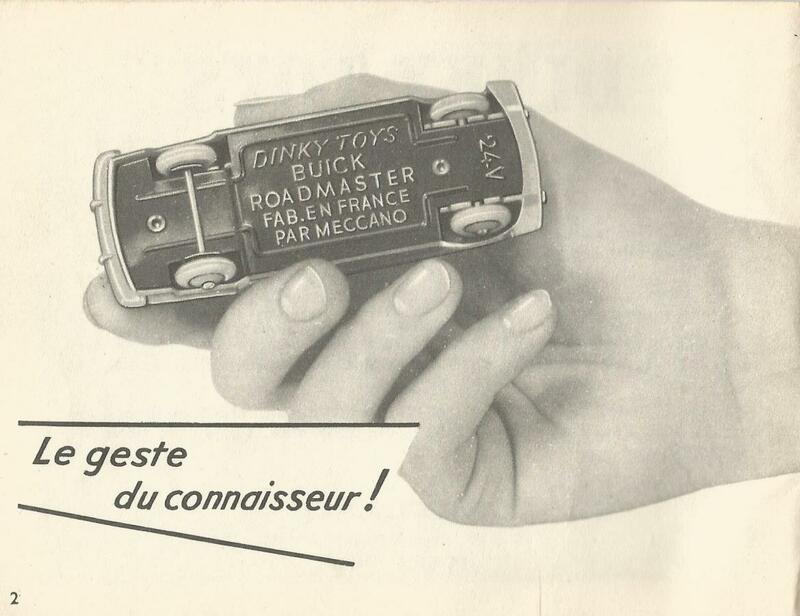 Many of us have wished that -- if Atlas Dinky Toys had to exist in the first place -- they would have issued "Dinky Toys that never were" instead of copying actual Dinky Toys. But, this is a strange effort. 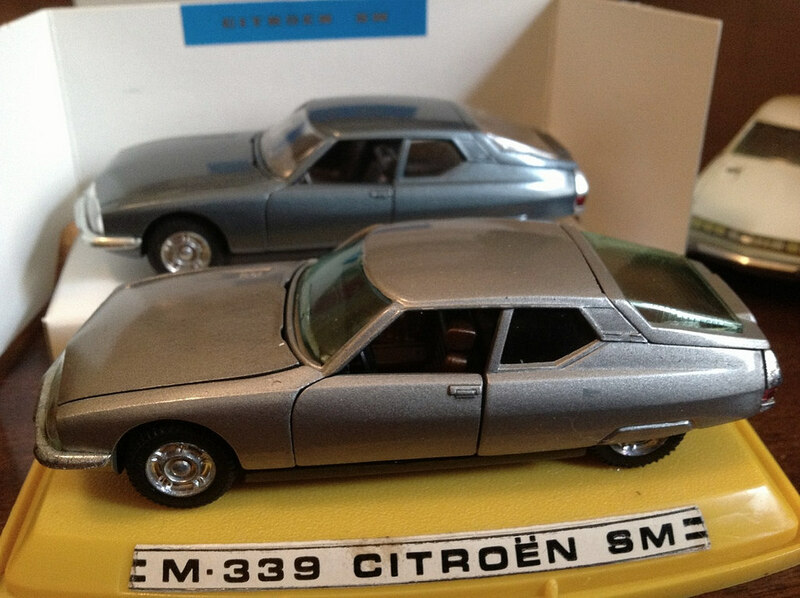 As my pictures show, the box (but not the model) bears fictitious, anachronistic model numbers of both 24O and 39F, and the vehicle is referred to as a "Citroe SM"!! 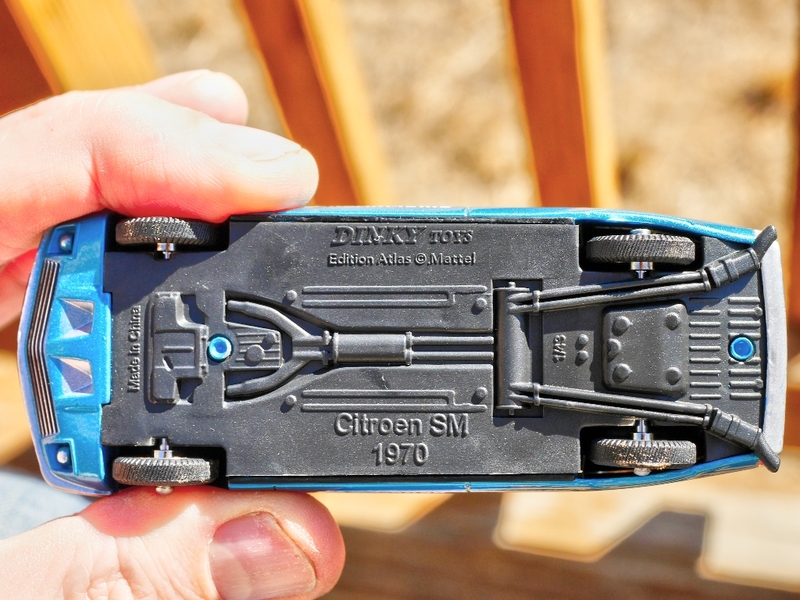 As far as I can discover, the Citroën SM indeed has never been an existing Dinky Toys model. Sales number 39f was used by Meccano Liverpool for the Studebaker State Commander Coupe (1939-1950); number 240.1 for Cooper Racing Car (1963-1970) and number 240.2 for Dinky Way Gift Set (1978). Meccano France used only model number 24O (not 240) for the Sudebaker State Commander coupé (1949-1951). In this case, this so-called "Dinky Toys" edition of Edition Atlas is highly misleading and should in fact be banned. Apart from that, it's sure a very beautiful model and it's sure a pity that Dinky Toys France never made it. I believe the second number on this Atlas model is supposed to be 24o, not 240 -- but in any case, applying either number to this model is ridiculous. The box does not simulate anything from the right period, either. If they had an ounce of wit and are trying to create a series of models that should have been issued by Dinky France but weren't, then they should have assigned this SM an unused number in the 1400 range and given a suitable late-period box. 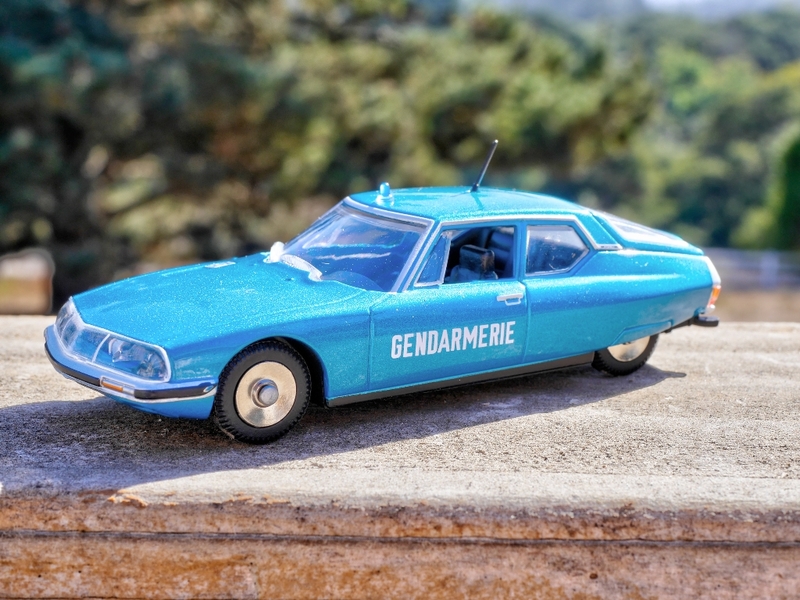 Of course if Dinky France had issued a Citroen SM when the car was current, their model would probably have been manufactured by Pilen, and based on the Citroen SM that Pilen issued in its own range. 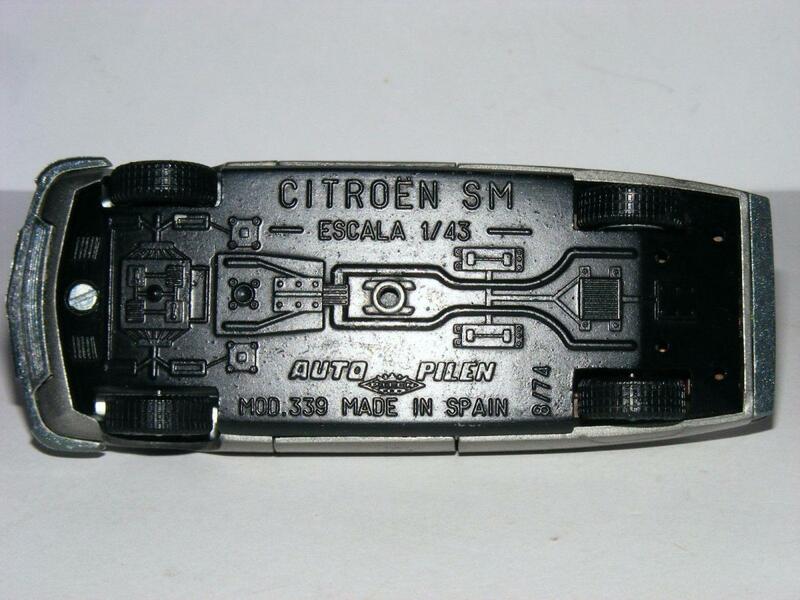 This is a "legal" Citroën SM model 339 made by Auto Pilen in Spain. This is also clearly visible on the base plate. Yes, that is the same Pilen model I pictured in the previous post. If it had been issued as a Dinky Toy, we would have had much the same baseplate with the DInky name substituted -- as with the Ford Fiesta, VW Scirocco, and other Pilen Dinky Toys. As to this Atlas model, it is interesting that they tried to put Dinky-like wheels on it, although ironically these are not of the type the Dinky/Pilen models featured. In my oft-stated opinion, it was a sad day when Mattel and then Atlas got hold of the DInky trademark! I completely agree with you. It's an annoyance if you're searching on Ebay after Dinky Toys and there are pages full of Atlas editions between it. And it's getting more and more. For me it's just ballast. Completely agree with you guys ! The ATLAS range should be confiscated by the customs as pirated edition and fraudulent imitation. Not only it makes troubles in the ebay auctions but some malevolents are mixing parts of Dinky and atlas ! Collectors, my brothers, we have to be very, very careful and it becomes difficult. Or, we have to stop buying on the net !!! This threadis poluting this web site. It stinks of bull s.... just as the self nominated expert who runs all this Atlas c..p.
This SM may be a mistake for the Citroën CX which was made by Auto Pilen. There is such a mess at Atlas. There is no communication about this model. Atlas could at least say what it is and to which of their numerous collections it belongs but these crooks never write or communiquate on their roten products and Roulet has not said anything either. Well, Jacques, I do resent your comment about "this thread ... polluting the web site" and "stinking of bull ... " though perhaps there is a language barrier at work. I have made my negative feelings about the Atlas Dinky Toys and Mr. Roulet (a traitor to the collecting community) crystal clear in the past, and I disapprove of this "Citroe" SM model on almost every level. But, there is an Atlas Dinky Toys area on the DTCA forum and I thought it was important for members to be aware of this model and its strange numbering -- precisely because Roulet and Atlas do not provide information on their models. Wondering what was happening with my subscription to Atlas British Dinkys, I logged on to their site to find my ‘collection’ is now complete, having last received that well known British car the Renault Floride numbered 32 (the last two digits in the item number). As they come in a random order I have received overall numbers 1 to 54, but never received number 16 or 36, which I think might be the Austin Healey civilian, the Porsche 356 or possibly the Simca Versailles if anyone knows? Of the 52 I received I recycled from Kazakhstan to Timbuctoo 27 as duplicating originals l had or just naff like the Triporter. Of the 25 I kept, 14 duplicate originals so just 11 new to me out of 52. On the truck front so far I have received 20 and recycled 10, although how many Guy Vans does one really need? Now the ‘ouvrants’ are being touted here but I have already cherry picked these on eBay or have originals, so no way Jose. On a positive note it has revived my interest in real Dinkys causing me to upgrade by condition and seek out some rarer variations over the last year or so! So the appearance of this model now really begins to answer that age-old question, "If they still made Dinky Toys, would you still buy them?" 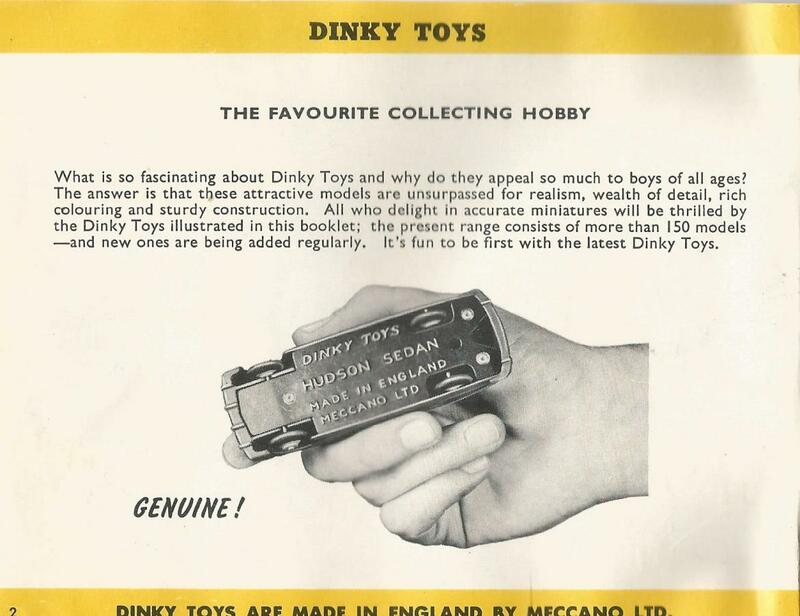 Since they have been available for a number of years, I think it could be certainly confirmed that there is a demand for copies of the same Dinky Toys that were made in the past - but this is not quite the answer to the original question. Consider that the Citroen SM was manufactured 1970-1975, which is getting on for 50 years ago. So let's say this would be equivalent to Meccano in 1970 manufacturing a model of a 1920s vehicle. Of course Dinky and Corgi both attempted ranges of old bangers and they were always a flop. I don't recall kids in the 1970s considered Yesteryears particularly desirable either. What we wanted were toys of current road models. Today that would be Citroen C4, Renault Megane, Mercedes A-C-E Class, Ford Focus. Okay, maybe bad examples. But there are attractive cars of today that could be modelled, like Tesla... and there are always lots of concept cars around. Just as important (more important) the aesthetic has to be right. 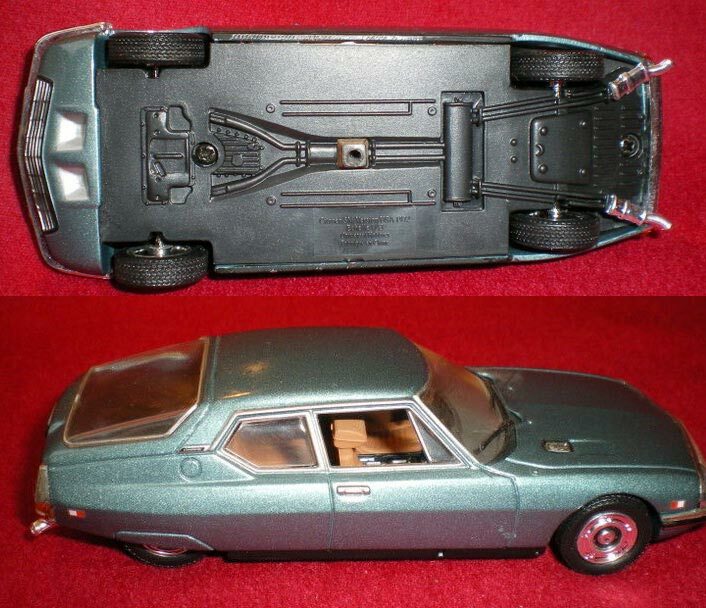 This Citroen SM looks alright at first sight but a Dinky Toy would have a screw on the base plate so you could dismantle it and put it back together. Look, the Pilen has a screw - it should be just like that. The wheels are alright; tyres maybe too thin. See they are thicker tyres on the pilen. And shouldn't the doors open? And maybe the bonnet or boot? And there ought to be folding seats. You know... like on the Pilen model. The Pilen Citroen is more Dinky than the Atlas Citroen. I would rather play with Pilen, thank you. 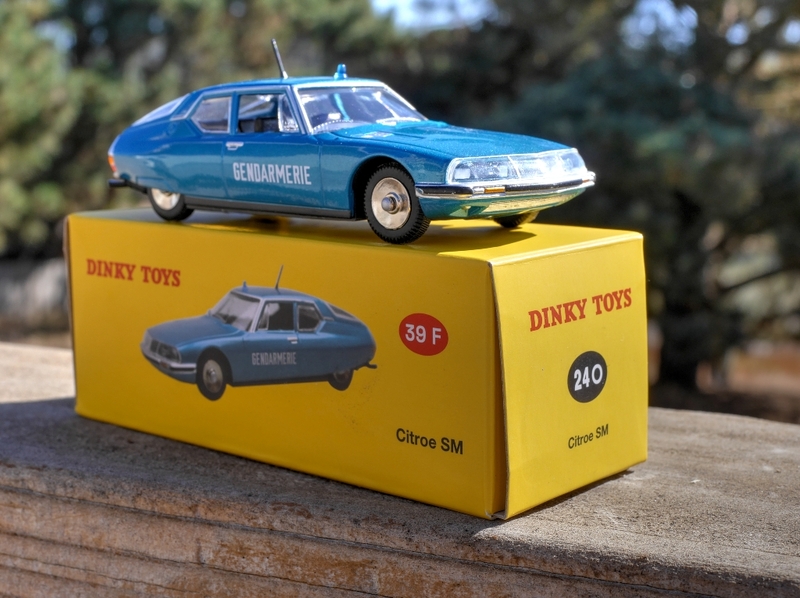 So, after some snooping around on ebay, I was able to find evidence to argue that this purported Dinky Citroen sm is a copy of a Universal Hobbies model. Delete the wipers and wing mirrors, don't bother with the chrome exhausts , slap on some dish hubs and Bob's yer uncle. If the upper casting looks suspiciously similar, the baseplate is the smoking gun. 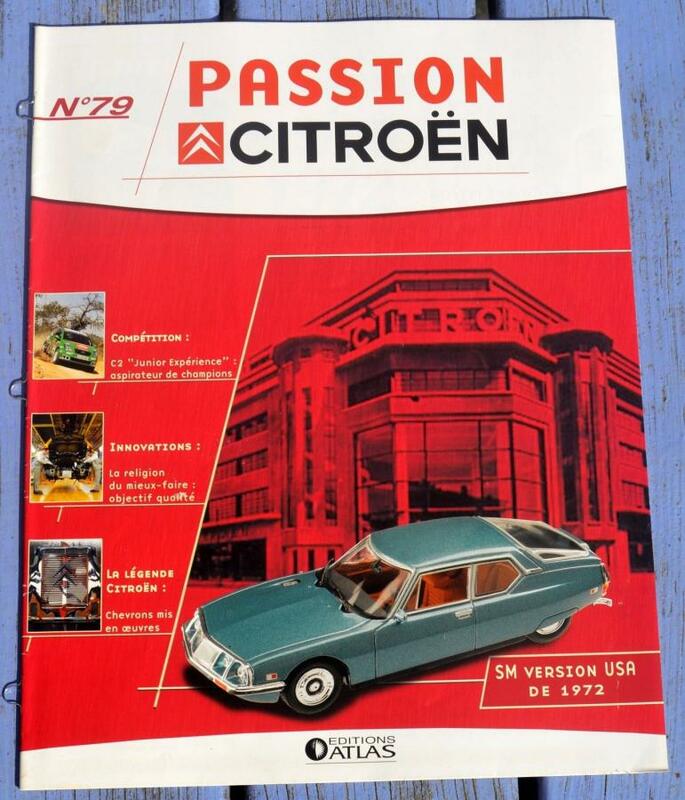 Universal Hobbies was a Chinese manufacturer hired by Atlas Editions (DeAgostini) to produce models for a magazine partwork called Passion Citreon (sm was probably issue 79) between 2004 - 2008. I can't find any suggestion that Atlas have ever offered this model as an official Dinky Toys copy - and I would guess that what we have here is a purely oriental initiative and there seems to be only one ebay outlet for it. This Jolly Roger also has some Dinky Peugeot's in various colours. Al -- It appears to me that the Citroen SM was an "official" Atlas initiative, at least judging by all the information carried on its box, which I show a picture of below. My guess would be that a range of "what if" models was being considered, but got scrapped at the last minute, leading to this one model being dumped onto the Chinese market. Regarding the involvement of the latter-day Norev in all this, I would be interested to know who is really the prime mover in deciding what Dinky Toys are copied. It would also be good to know more information about the computerized scanning process that allows them to create new tooling so easily. Clearly, Norev has done the tooling and most of the production. It's notable that many of the castings have appeared first under Norev's "CIJ" brand, then as Dan Toys offerings, and only later as Mattel-licensed "Dinky Toys." Laughably, some people consider the Dan Toys editions as "pirate" models and the Dinky-branded ones as somehow "official." Of course, the Dinky/Mattel "certificates of authenticity" are not worth the paper they are printed on! How it actually works - how it's possible to issue certificates of authenticity for products which are copies by definiton ... that is some crazy contradiction. Hello Johnny, I've done a comparison of some Dan vs Atlas castings and they do seem to be different. I'm going to say that I don't think Dan and the whole Norev/CIJ/Atlas/DeAgostini aparatus have any commercial involvement. I know Dan have been copy casters for a long time - longer than the rest of them. 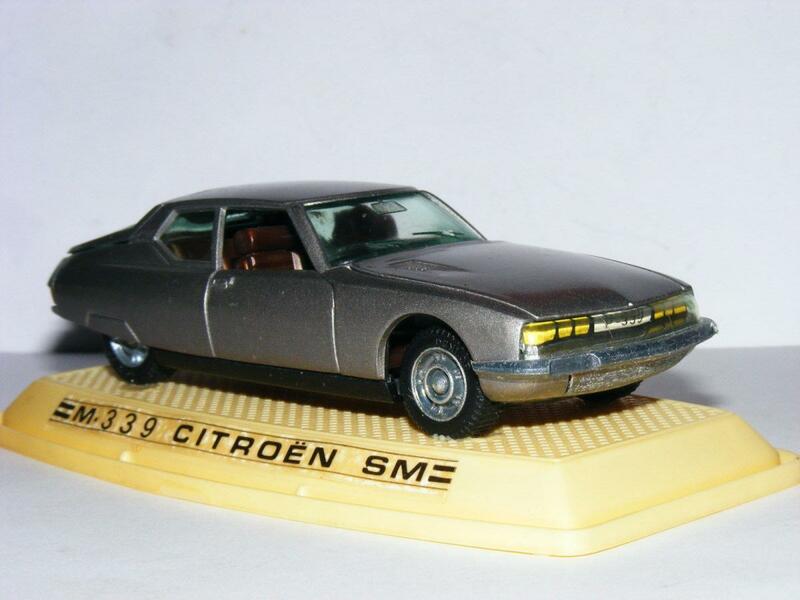 I haven't seen anything from Atlas promoting these Citroen SM ("Citroe SM"(sic)) models. As far I'm aware, they just popped up on ebay earlier this year. Now the indicia on the box could be just as faked as the Dinky logo on the base plate and, actually, your image is only adding more weight to that conclusion. Do you see the serial number they use? 2 083 056 It turns out this is not a meaningless reference. On the aquitaine33.com site there is a Dinky Atlas model list which includes all these serial numbers. This particular number should refer to a 24o Studebaker Coupe in metallic green. ** Just to add. I would suppose the "lure" of crafting an exclusive "Dinky" model for the oriental ebay store is going to be the £20 price tag. This seller has an abundance of other exclusives too. I respect your thoughts but must say that of the copies I own in both "Dan Toys" and "Dinky" versions, the models seem to be identical apart from the trademarks, which makes sense. And, worthy of note, most of the Dan Toys models are marked on their boxes as being "imported by Norev." So there's no question that Norev is involved with both. I had another look at some Panhard artics by Dan and you're right, Johnny, the boxes do indeed say imported by Norev. Not only that but the baseplates have CIJ logos struck on them! How's that for mixed up? So for some of their inventory, Dan are (or were) sourcing stock from Norev. That might not be their only supplier because the Dan guy vans are different for sure to the Atlas varieties ( they have type 2 cabs for a start, different ejector pin patterns and casting mods). The Dan brand are just as nicely finished as the other importers and they do have a lot of nice code 3s in their catalogue. Al, I'm sure you're right about the multiple suppliers for Dan Toys. I'd guess Norev has done at least 80 percent of their models, but as you point out, the Guy vans are different -- and I note that on their boxes, they say "imported by Elantek." It turns out that Elantek (also known as Lanxys) is a contract manufacturer of diecast models. 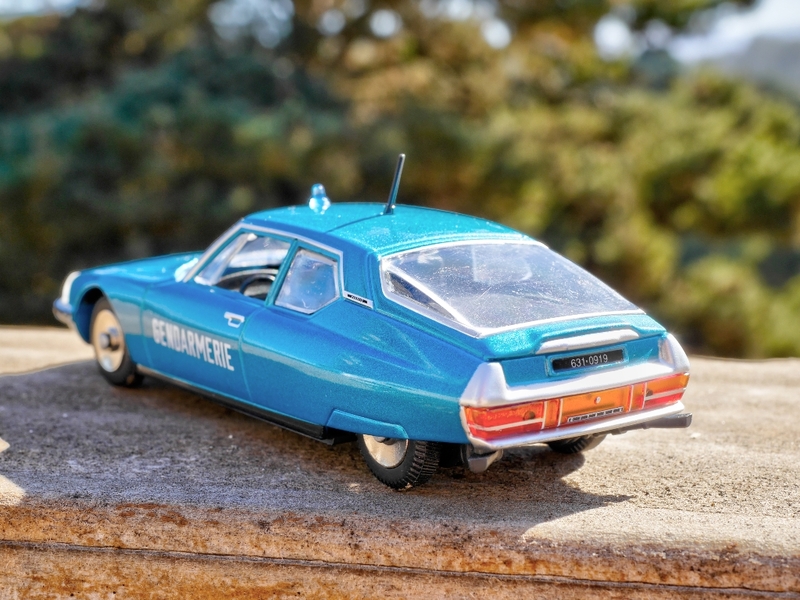 Another Dan Toys I'd guess is from Elantek -- I am too indolent to hunt for the box to mine -- is the Citroen Presidentelle (one of the most readily available on eBay, as you might have noticed). This is the only one I've encountered that really misses the mark; compared to the real thing, it's a bit too small, and less than totally convincing. Dinky/Atlas/Mattel has issued a Presidentelle too (ironically being sold by Dan Toys itself for the same 60 euro price as their own; I haven't seen it elsewhere) and it would be interesting to see who made that one. Elantek are showing an Esso Leyland Octopus tanker in their Alibaba showcase, so maybe those are on the way for Dan. I notice Dan are now selling some Bedford cab models and a couple of the Antar configs. The Dan Presidentielle box does credit Elantek. They were also the Dan source for the Car Carriers and Guy Vans. I haven't seen the Atlas rendition of the Presidentielle - it would be interesting to see a comparison.